Public markets can be the social and economic heart of a city. While there continues to be tremendous energy and momentum around global market advocacy, as we witnessed at the 9th International Public Markets conference in Barcelona, there are still many public markets throughout the world that are threatened by a variety of factors such as physical neglect, war, poor management, competition from international chain stores, and real estate pressures. In the months leading up to the conference, PPS put out a call for public market advocates to bring recognition to those markets needing immediate attention and support, and below are several examples of submissions we received. While there are surely many other markets across the globe facing these, and other, obstacles, we hope that by shining a light on these four markets we might begin to work together - on a local, national, and world stage - in raising awareness about the importance of public markets, and in thinking about how best to preserve and fortify them going forward. 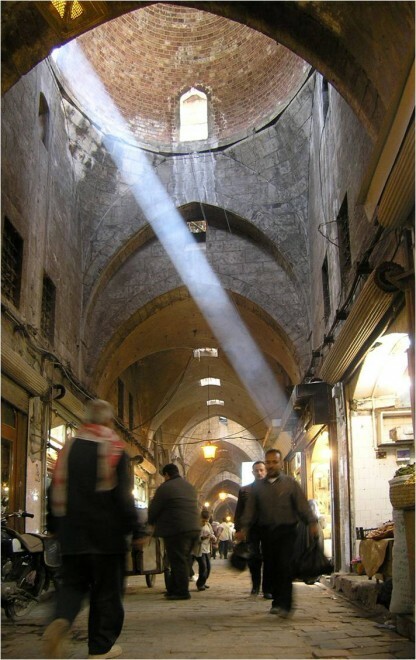 Aleppo’s Souk Al-Madina, a UNESCO World Heritage site, is the largest covered markets in the world. 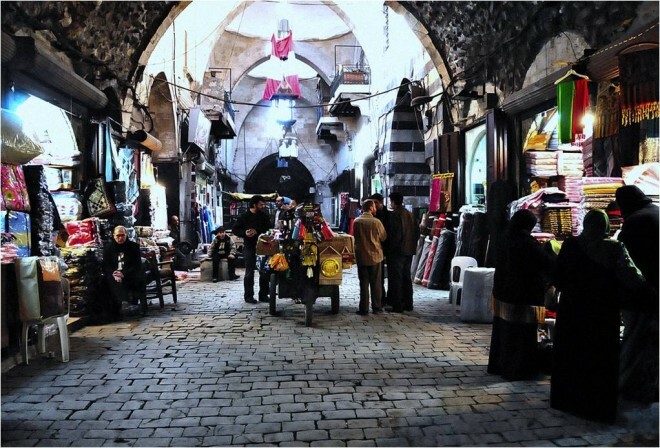 Located in one of the oldest continuously inhabited cities, the souk is 13 kilometers long, with portions of it dating to the 14th century. Serving residents’ daily needs, the market is a major trade center for Iranian silk, Indian spices, and a wide variety of local goods. 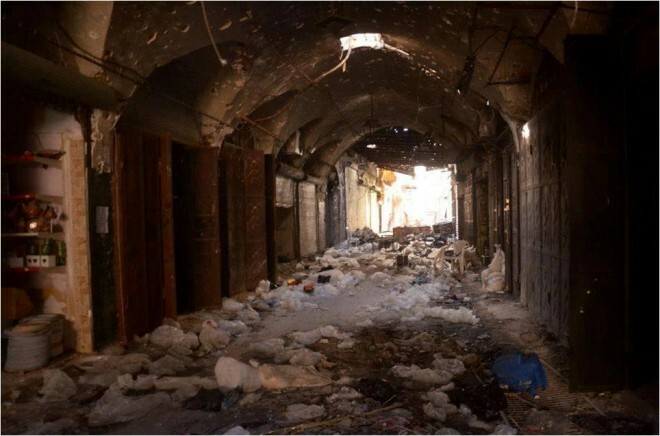 Due to fighting during the Syrian Civil War in 2012, however, much of the souk was destroyed by fire. While parts of the market remain active and continue to be an important community center in the war-torn city, given the region’s ongoing instability, its future remains uncertain. The Mercado Del Norte opened in 1930 and was an extremely popular public market for many years. In the 1980’s, the National Institute of Fine Arts declared the market an “Artistic Building,” on the basis of its notable Art Deco exterior, and the functional rationalism of its interior. Despite its historical and architectural significance, after several decades of physical neglect, the market’s building has seen remarkable decline, and the surrounding neighborhood has become less desirable. Customers once loyal to the market now shop at larger chain stores, and while a few restaurants and vendors remain in the market hall today, it is mostly vacant. Founded in the early 20th century, the Chau Long Market hosts hundreds of local vendors and it is the primary shopping location for neighborhood residents. In recent years, however, Hanoi’s government has been working on a plan to convert 132 wet markets into trading centers by the year 2020. This plan, which favors large supermarkets over traditional markets, has already had disastrous consequences for both vendors and consumers. A number of markets have already been relocated and condemned to the basements of large mall complexes. The Chau Long Market had been slated for conversion, but after seeing the failure of previous conversions, local government finally backed down from the plan in 2014. Although the immediate threat has passed, plans are still going forward to introduce a network of supermarkets throughout the city, which will pose a great threat to the traditional markets of Hanoi. Fortunately, Canadian organization HealthBridge (one of our conference organizational partners) has teamed up with local groups in Hanoi to create a campaign to save traditional markets around the city, including Chau Long. Cairo’s Souq Bab El-Louq, founded in 1912, was one of Egypt’s first modern market halls. Though it had been a popular spot for wealthy Egyptians to gather and shop, it began a process of decline nearly 70 years ago, as mid-century rent control laws kept vendor rents so low that management couldn’t possibly raise the funds necessary to maintain market operations and infrastructure. Today, most of the stalls are vacant and the building is crumbling. Commenting on the destruction of Souk Al-Madina, a resident from Aleppo, Syria, explains: “It’s not just a souk and shops, but it’s our soul, too.” As we continue to reflect on all we have learned and shared throughout this conference, we stand in solidarity with those who are working to save the world’s endangered public markets. We encourage you to contribute your voice and support to this issue, and to help increase awareness of the importance of markets everywhere by signing the 2015 Public Markets Declaration!